Mrs Chand said: 'We have always eaten good wholesome food, there's nothing artificial in our diet but things like butter, milk and fresh yoghurt are what we like. We know that being married for 86 years is a blessing, but equally we will be ready to go when it's time. It's all up to the will of God, but we really have lived a good life. We just get along with each other and we are family focused, its simple really.' 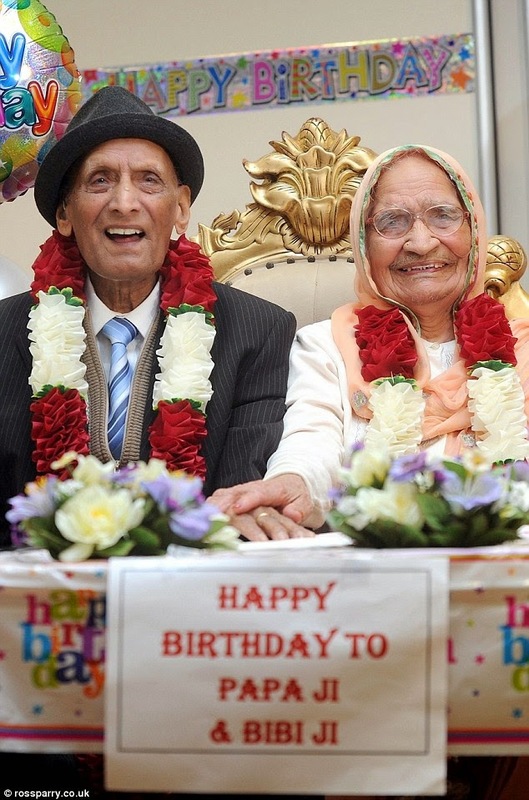 Mr and Mrs Chand moved to England 50 years ago with Bradford being their home for more than seven decades. The couple have eight children, 27 grandchildren and many great grandchildren.